After over 30 years in Thoroughbred racing, Nick Zito is a man who needs no introduction among track enthusiasts around the world. One of only 17 trainers in history to saddle two or more Kentucky Derby winners, Zito has earned the title “Racing Legend” through hard work, perseverance and dedication to the needs of his horses. He was elected to the Racing Hall of Fame in 2005. Zito most recently won recognition for saddling a remarkable five horses for the 2005 Kentucky Derby. He also turned heads in the 2004 Belmont Stakes, when his Birdstone beat out Smarty Jones to take the coveted third jewel of the Triple Crown. But this New York native’s career includes enough highlights to fill a novel. Zito’s racing roots run deep. His father exercised horses for trainer Max Hirsch and Zito himself started hot walking and grooming for trainer Buddy Jacobson as a teenager. He also worked for trainers Robert P. Lake, Johnny Campo and LeRoy Jolley. In December, 1972 he saddled his first winner, Palais. But Zito’s concern for his charges goes far beyond the race track. The respected veteran always keeps an open mind about new methods and new ways to help his horses maintain optimum health during the grueling training and racing campaigns that make them winners. In the fall of 2004, Zito found himself working with a racing filly who exhibited a variety of problems. 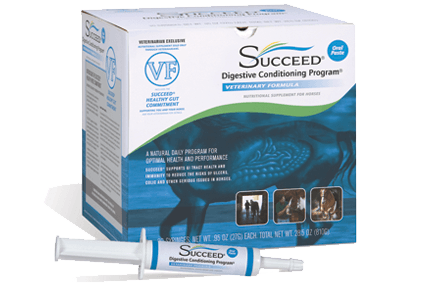 While at Keeneland, he decided to try using SUCCEED Digestive Conditioning Program. 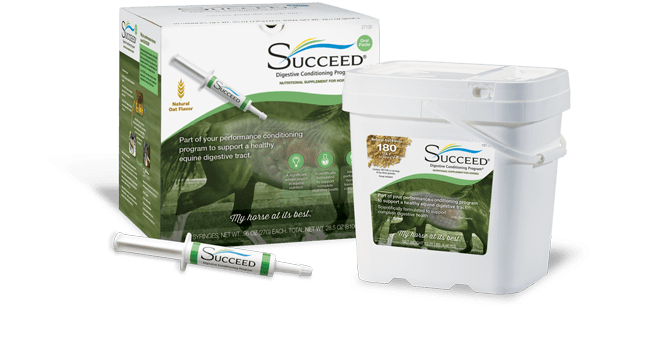 After these initial successes, Zito became more and more convinced of the product’s benefi ts for his horses. And in early 2005, he approached Freedom Health, LLC—the makers of SUCCEED—about the possibility of putting his legendary name and reputation behind the product. “I was so impressed with SUCCEED that I contacted them,” Zito said.